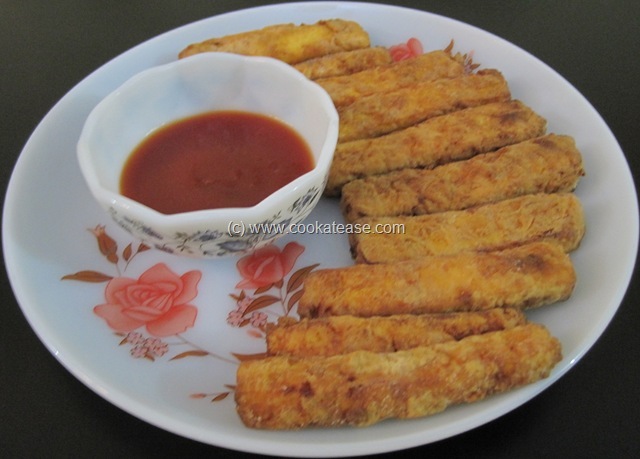 Paneer (Cottage Cheese) Finger Fry is an attractive dish, specially to children. This can be given in lunch box also. Cooking time: 30 minutes approximately excluding marinating time. Cut paneer into finger shape; In a bowl add curd, lemon juice, ginger garlic paste, turmeric, red chilli, garam masala, cumin powders and salt; mix well, dip each paneer finger in this and arrange them in a tray; keep for marinating 30 to 45 minutes. Heat oil in a pan; take flour in a plate or tray, roll marinated paneer fingers in this and fry in oil till crisp, golden/red in colour. 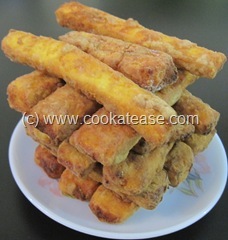 Slurpp, wat a crispy appetizier, i want to grab few from the click..tempting!! 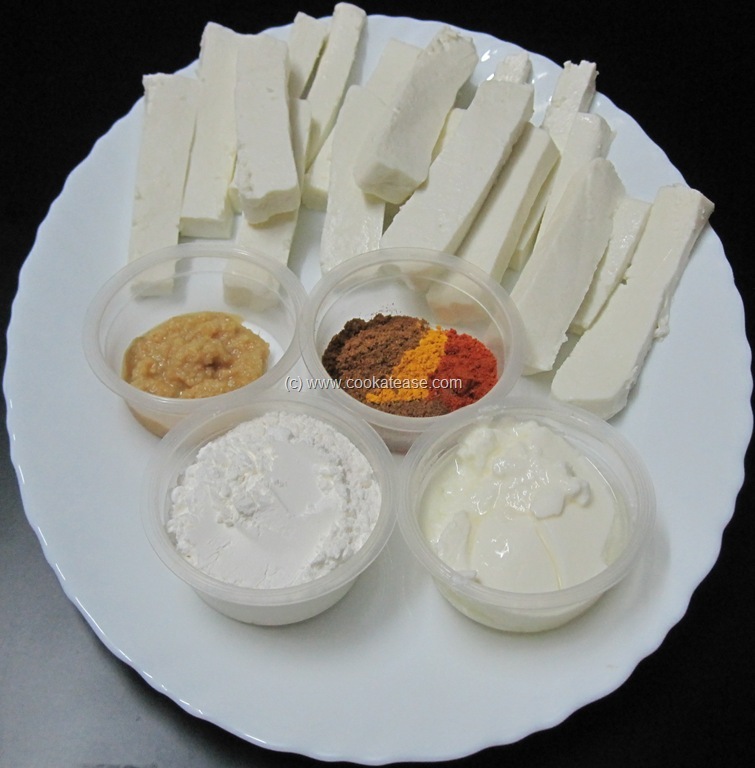 I don’t like paneer. 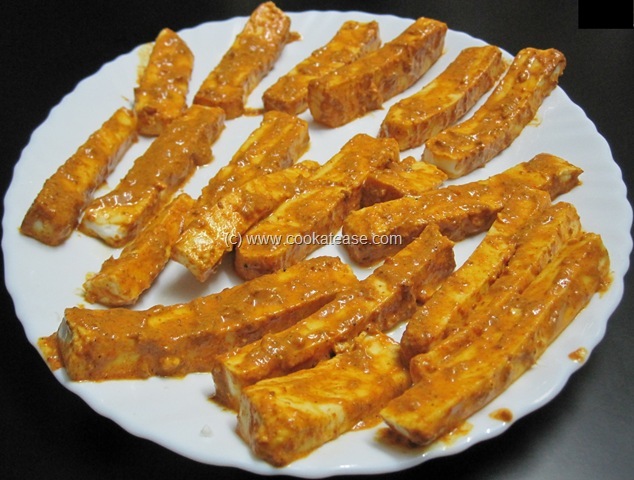 When we go to restaurants or any place, I skip the paneer and have the gravy because I don’t like the taste of it. This sounds tempting because it is fried and will have a good flavor and texture. Thanks for sharing. 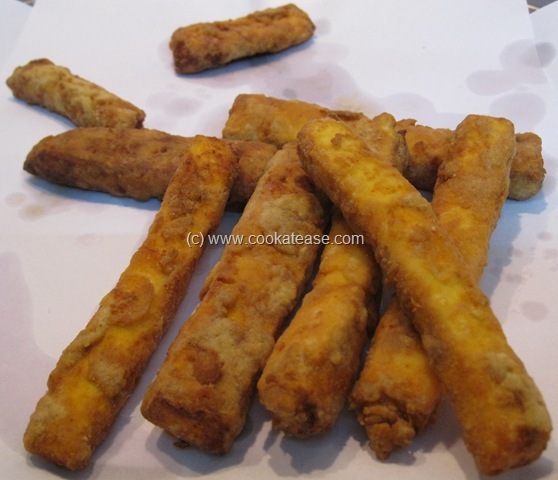 turned out gr8…it s raining cats&dogs outside and i m sitting wit a plate of these paneer pakodas on my lap…thnks fr te recipe. 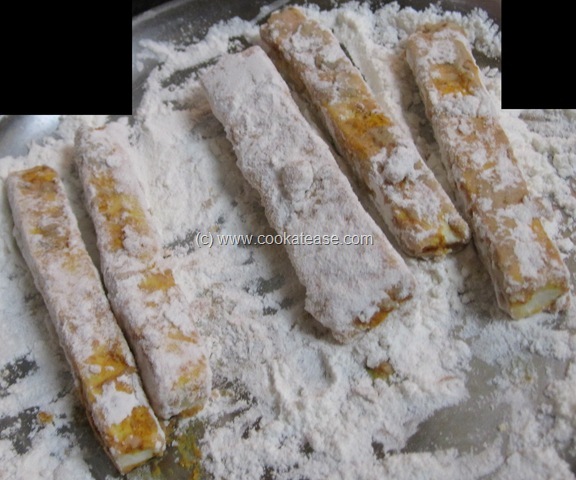 this is nice recipe,taste to banane ke baad pata lagega. i just read.